Richard is a divorce and family solicitor with Woolley & Co based in Sutton Coldfield near Birmingham. 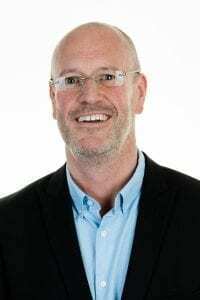 He is also a fully qualified family mediator and has over 25 years experience in the legal profession and over 20 years specialising in Family Law. During that time he has built an enviable reputation representing clients in the Midlands and surrounding areas he has also dealt with overseas clients on many occasions. Richard has been named as a Recommended Lawyer for Family Law in the West Midlands in Legal 500, where they note he is “very clever” and has “a brilliant business mind”. Richard specialises in financial settlements on divorce and in particular, complex cases involving business interests, farms, family trusts and overseas assets. He also advises clients in respect of co-habitation and pre-nuptial agreements, living together agreements and also in cases involving children. “I am a long serving member of Resolution, formerly the Solicitors Family Law Association, and I adopt a practical and conciliatory approach with the aim of reaching a cost effective solution which is reflected by the fact I am a Resolution trained mediator. I specialise in advising clients on financial settlements on divorce and in particular, complex cases involving business interests, family trusts, farms and overseas assets with a view to finding a solution that causes the least disruption to those assets but achieves a fair outcome for the family. I have represented many clients in difficult cases involving children, where emotions can run high. The focus has to always be on the children, helping the parents realise this enables agreement to be reached. Richard qualified, initially as a Legal Executive in 1997, and then as a solicitor in October 2007. He joined Woolley & Co from a firm with offices in Tamworth, Lichfield and Sutton Coldfield in October 2012.